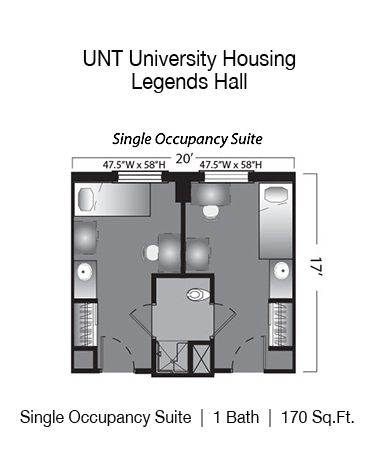 Legends Residence Hall is located at the corner of North Texas Blvd. 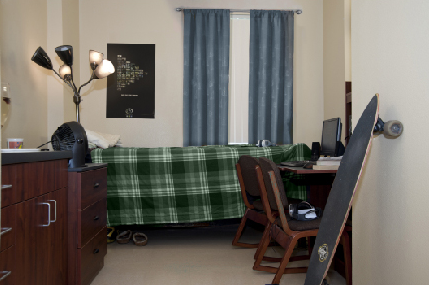 & Sycamore St., directly across from the UNT’s Pohl Recreation Center. 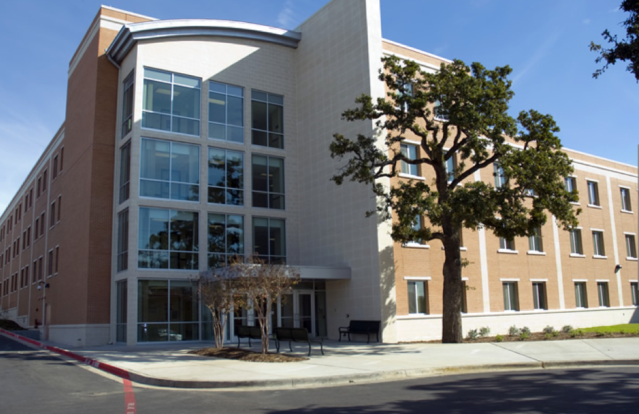 Legends is one of the newer residence halls on campus. 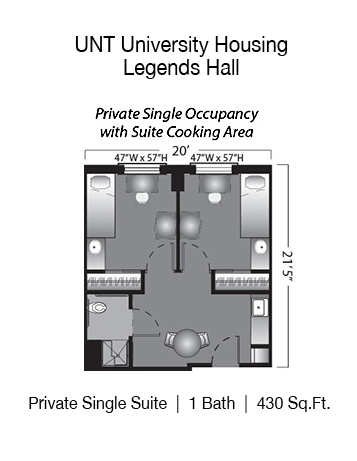 Available only to upperclassmen residents, Legends residents have the choice of living in either private single suites with suite cooking areas or in single suite rooms.